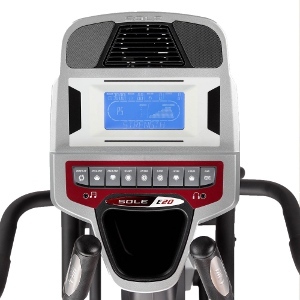 Sole Fitness cross trainers have previously always been aimed at the high-end price range. Depending on promotions, you generally wouldn’t expect much change out of £1000 for what until now, was their ‘entry level’ machine. But all that has changed. 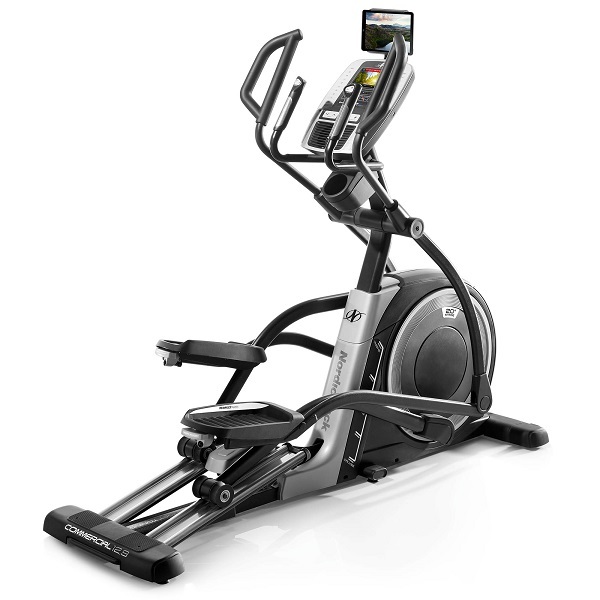 Sole have recently added the E20 to their range, claiming it to be “The most affordable Sole Fitness incline elliptical trainer ever…” We were eager to see what you get for that ‘affordable’ sum! As usual with many cross trainers, the hardest part of the assembly process is getting the main body of the machine out of the box! Once you’re in the clear, it’s a fairly simple 4 step process i.e. Bolt on the stabilisers and the console mast….attach the lower swing arms….then the upper ones… and finally screw on the plastic covers. Complete those simple steps and the result is a machine that looks rather impressive! 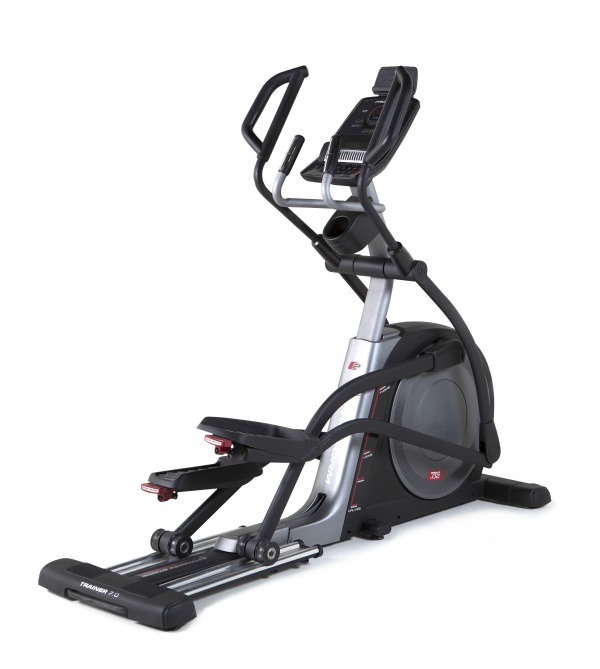 The ‘Health Club-style’ looks, characteristic of Sole products, is distinctive with the E20. The machine’s curves give it certain elegance, but overall the impression imposed is one of substance. 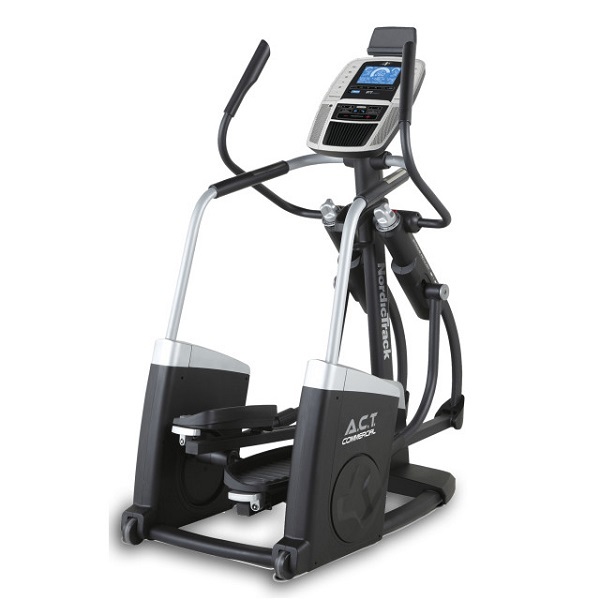 The build quality is superb; How many times have we said that about Sole Fitness equipment?! Well so long as they continue to uphold their ‘solid’ reputation for well-built kit, we’ll never grow tired of repeating ourselves! The swing arms have so many angles and bends that it’s visibly obvious that brain-busting geometric calculations and precision engineering have gone into the elliptical motion of the E20! How does all that theory translate into practice? 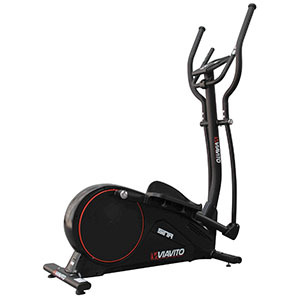 We had our reviewer climb aboard and get it moving!…..
To anyone experiencing the solid, smooth pedal motion, it may come as a surprise to learn that the flywheel weighs just 8.5kg. Such fluidity would suggest that it may have weighed more, but it doesn’t AND it doesn’t seem to need to! In fact, the next model up (E25) has the same weight flywheel so we believe this isn’t a matter of cost-cutting compromise. 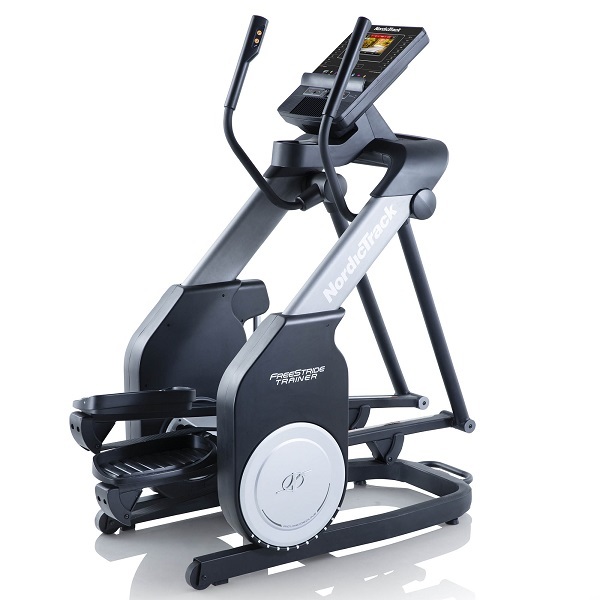 The E20 is the only Sole cross trainer to have single rear guide rails but that certainly should not be seen as a negative (In fact, it is only a significant factor when compared to the rest of Sole’s cross trainers which all have double rollers/runners (AND higher price tags!). At this price point, we expected nothing more, on the contrary, we were impressed by the chunky diameter of the rails and rollers. Sole Fitness have even added a positive slant on the single guide rail feature by extolling the virtues of an improved ‘Q – factor’. Right, now in English!…. 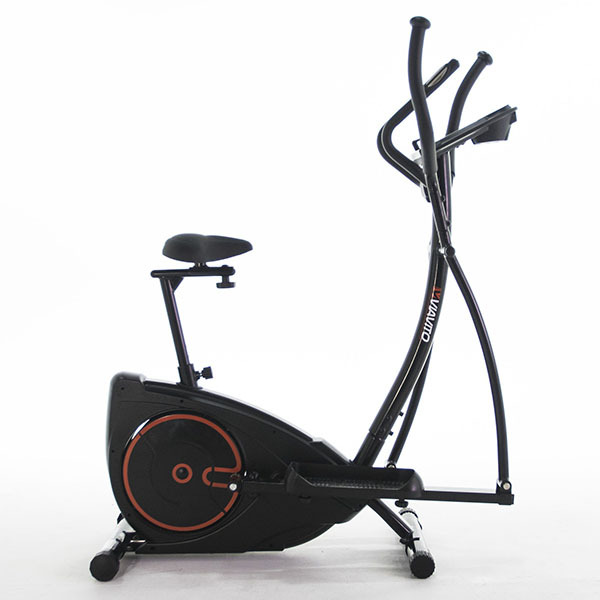 Basically this ‘Q – factor’ jargon refers to the size of gap between the pedals as they revolve during the elliptical motion. The fact that the flywheel is up front and out of the way, frees up more space for the pedals to be positioned to replicate the body’s most natural path of travel (not too wide) and having ‘only’ a single guide rail for each pedal allowed Sole to narrow this stance slightly more. Whether that particular half an inch equates to much of a difference is not obvious, but the spacing seems very ‘natural’ whatever. So that’s a tick in the box for the ‘Q-factor’ BUT that’s only one aspect of correct foot positioning. The other important consideration is the angle of the footplates. 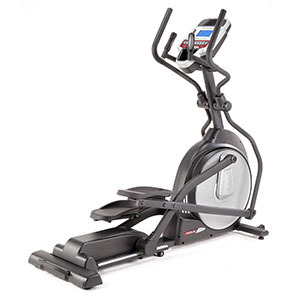 With that in mind, Sole have incorporated a 2 degree inward slope to the pedals on all of their ellipticals and cycles to maintain a natural body position when exercising. This subtle little tweak certainly seems to help. Unfortunately, the fixed downwards angle that the peddles are set at, may not feel so biomechanically friendly to all users. Due to the rather acute angle and no adjustability, there is a possibility of stress on the knees BUT this is very much an individual matter. This was highlighted by the polar experiences of 2 of our team. The design and motion seemed biomechanically tailor-made for our 5’8” reviewer whereas our 6’2” tall tester felt stress in the knees. This comparison could mislead you into thinking that the E20 is unsuitable for taller users – Not so! We dare say, that most should thoroughly enjoy the action regardless of stature. In fact, generally speaking, those of you with good strong joints should not be too deterred. This is more of a concern to the less resilient. To clarify why this is a potential issue, it is important to understand why Sole have made the design decision to set the footplates at this angle. Quite simply, the theory is that it prevents ‘heel lift’. To that extent it does work BUT in turn, you’re encouraged to push through the front of your feet and that is where the lack of adjustment to the pedals on the E20 gave us reason to gripe (and ‘grind’ in the case of our 6’2” tall, reviewer’s knees!). Still here? Good! There’s plenty still to recommend. How about electric incline? Yep, we were intrigued to see how that worked too, so we took off the rear plastic cover and watched the ingenious mechanism in operation. Basically the guide rods pivot at the rear and as they rise up to form an angle (Up to 30 degrees!) the stride length and motion is changed. 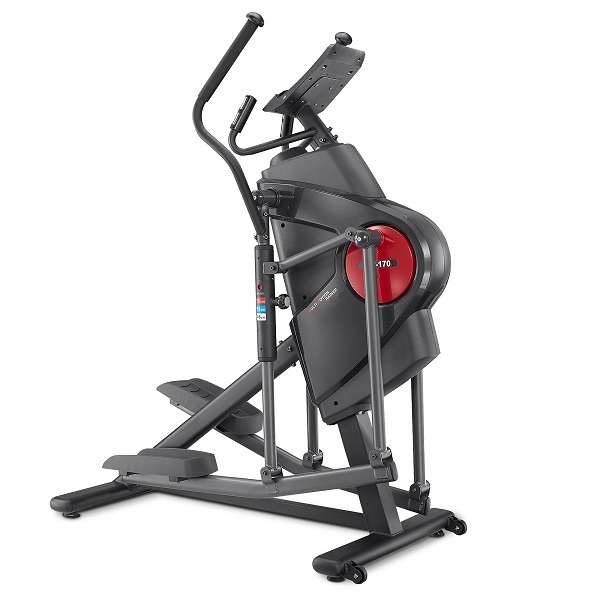 Unfortunately the steeper the incline, the steeper the angle of the footplates so it’s going to exaggerate the stress on the knees but those new angles also targets the leg muscles differently thus stimulating new fibres. The option of 20 Levels of resistance should also get those muscles working! The advantage of having plenty of levels is that not only can you make gradual, manageable adjustments over time and keep your body adapting; it also offers the user greater control during each workout. Talking of personal control, there are 2 Heart Rate controlled programs available. It’s great to see that aside from the pulse grip sensors on the static handle bars, the console also has an inbuilt receiver to wirelessly connect to a compatible chest belt transmitter (optional). If you want the benefits of fat-burning workouts one of the HRC programs can be set to keep you within 60% of your Target heart rate. Alternatively, if your goals are aimed more towards endurance, there is a program that sets the Target heart rate at 80% and the E20 will adjust the intensity to keep you within the right zone. The LCD display is the same as used on the Sole F60 Treadmill which is no recommendation as it seems a bit undersized for that machine too. The advantage the E20 has is that you can tilt the console – not by much – but it certainly helps you to angle the display in the best possible light. The main criticism of the display is not just its size. The 5 and a half inches manages to exhibit all the necessary training data and feedback that you’d need and want but sadly it’s just slightly too faint to see clearly. Another grievance we incurred was with the scrolling data. Receiving commands across the display to instruct a user how to set programs is a fabulous feature but the painfully s-l-o-w speed the words scroll across makes you resent the idea and resort to using guesswork to hurry the process along! Fortunately, the computer is fairly intuitive to use so setting the programs is fairly obvious anyway. You certainly won’t feel overwhelmed by choices but there should be sufficient to add variety to your workouts. Aside from 5 pre-set courses, you have the welcome addition of 2 user profiles to create your own. During your workouts there are some nice ‘extras’ to enhance the experience. The console has an integrated sound system that does a surprisingly decent job of pumping out the sounds from your Mp3 or iPod. The audio plug is located conveniently near the front storage compartment so you can keep your player tucked up safe and sound. The storage holder has icons of a phone, iPod, keys and water bottle etched into the plastic (a nice touch) but in reality the size of the compartment would hold 2 items at most. Also the angle that it is set into the console means that if you put your drinks bottle in it, you’d better make sure that the lids on tight! There is a headphone socket on the other side of the compartment. 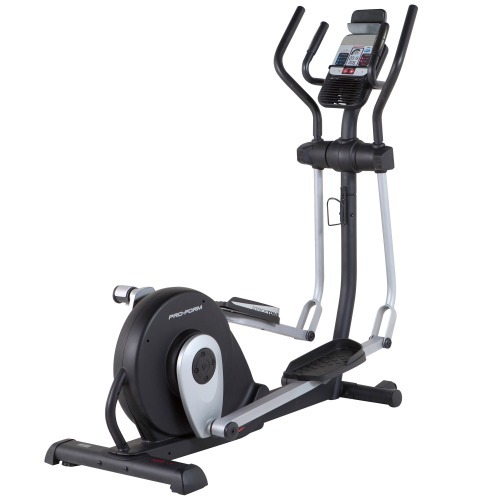 This is a useful feature as often one of the big selling points of a cross trainer is their quiet function. 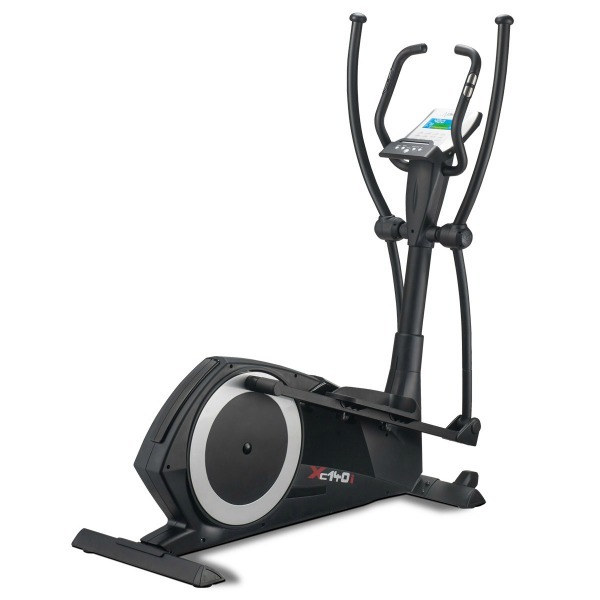 It’s pretty clear that the E20 is built as well as all other Sole Fitness cross trainers. This view is backed up by the machine have the benefit of a full Sole Fitness warranty: Lifetime on parts and 3 years on-site labour. As with all Sole machines, this provides additional piece of mind. The Sole E20 is not currently available from any retailers we're aware of in the UK.